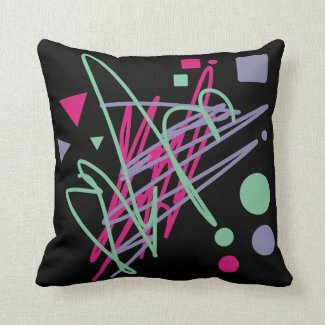 Just recently I've been noticing a growing number of cushions featuring designs that have a strong 1980s theme. Perhaps that's because I have a keen eye for everything 80s, but there's certainly no shortage of companies producing such items these days. 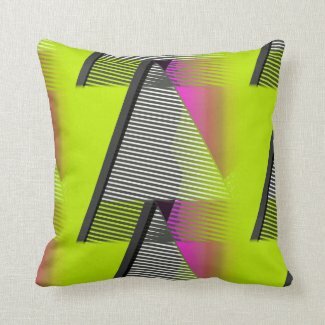 So, for this post I bring you the most totally awesome cushion designs with an 80s theme. Now, because these products are pretty niche the prices aren't cheap. However, if you have a room that's crying out for a quirky makeover, then these cushions (also called throw pillows by posh people) will certainly create a talking point. They're also ideal adding the finishing touch to the decor at an eighties party or event, of course. I said they were awesome didn't I? You just knew that you had finally become a teenager when you stuck your very first poster on the wall of your bedroom. I actually stuck my first batch of posters on the bedroom door using sellotape, much to the horror of my parents who were yelling at me about the fact that when I try to move the sticky tape I will take the gloss paint with it. When I eventually discovered blu-tack, I then started ripping out the poster pages of my Smash Hits magazine collection. If you're planning on throwing an 80s party or event, then a few posters to adorn the walls with is the perfect way to add the finishing touches to your 80s look. This will also instantly remind everyone attending the party of their own teen years, and will create a talking point, too. 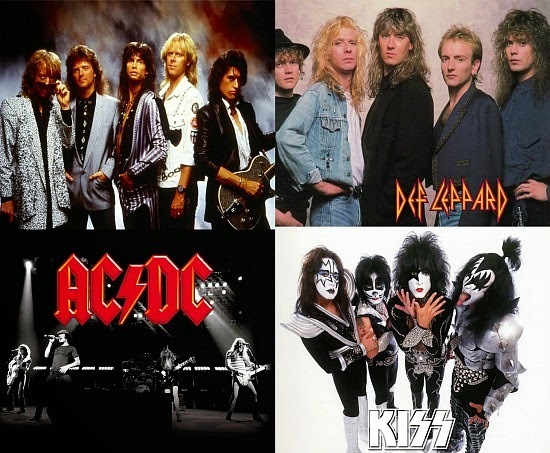 You could add an 80s metal/hair band theme with this set of 10 x A4 posters. If you're simply looking for some arty 80s decor then Zazzle.co.uk have a nice range of posters and prints. The prices are more expensive than the film and music posters at Amazon, but they will add a quirky and artistic look to your overall theme. 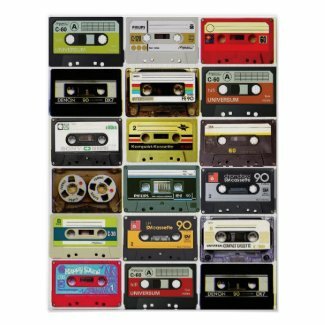 I particularly like this design featuring multiple cassette tapes which is £9.95 plus delivery. 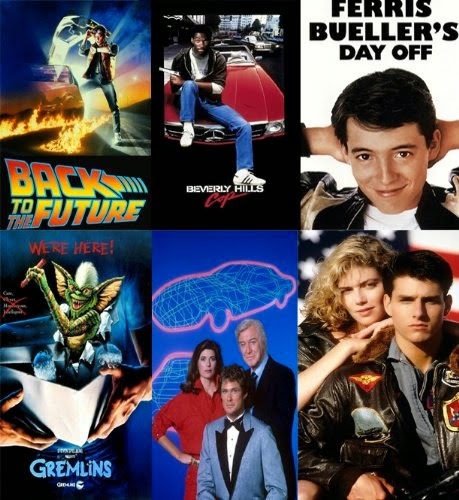 Some of the best value and most eye-catching 80s posters at Zazzle are by Corey Tiger and start at just £6.57 per poster. They feature mainly neon animal print and splatter paint designs, all of which were highly popular in the 80s, of course. After selecting the item above, if you scroll to the bottom of the page you will see a range of products featuring the same fantaqstic design including pillows, laptop and iPhone covers etc. Also see the 80s Party Decorations page on my website SimplyEighties.com (which is bursting with ideas) and also the 80s Movie Poster pages which will give you lots of inspiration. There is no shortage of skirts available with an 80s theme, but which are the ones that customers are the most satisfied with? Well, there are a number of items that have received plenty of five star ratings and positive comments, and which are always popular sellers through my website SimplyEighties.com. Massively popular and very highly rated, this vintage style skirt is ideal for creating a Madonna 80s costume. It's also available in white and many other colours. This skirt is perfect for 80s dress-up and is also available in orange and black which is ideal for Halloween. Although it hasn't received any ratings in the UK, there are dozens of five star ratings at the U.S. AMazon store. Available in many colours, this cute skirt is ideal for creating a whole number of outfits. It features a stretch fit and has a wet-look shine. This one isn't available in the UK unfortunately. This colourful creation would look great at any 80s party and has received plenty of postive reviews. This exact skirt is not available in the U.S., but I have included an excellent alternative which has also received high customer ratings. A top quality skirt from Wicked Costumes at a budget price! Very popular, but only available in the UK so I have added an alternative choice above. This skirt is also available in a Plus Size. Animal print was very popular back in the 80s, and this fantastic skirt with bold, neon pink colours would be a real head turner at any party. A complete costume kit which is available in a wide range of colours. Tutu sets are very popular in the UK and ideal for not only 80s dress-up, but also fun runs and hen nights. This is the best rated of all the sets, and has received over 60 five star ratings. Available in a wide range of colours, these neon party skirts are low-cost and highly rated. Ideal for 80s and fun dress-up. Not available in the UK. Available in two sizes from 8-18 and nine colours, this budget skirt is ideal for an 80s weekender, club wear, fun runs etc. Not available in the U.S. Available in 15 colours, this slinky, ruffled mini skirt is perfect for 80s fancy dress and is low-cost, too. Also visit the 80s Fashion pages at my website for lots of essential info and costume ideas.